A typical kitchen/food garden consists of no-dig beds where a combination of vegetables and herbs are grown. It may also include optional extras such as selected fruit trees, a worm farm, compost cubes, a chicken tractor with chickens, or even a pond. 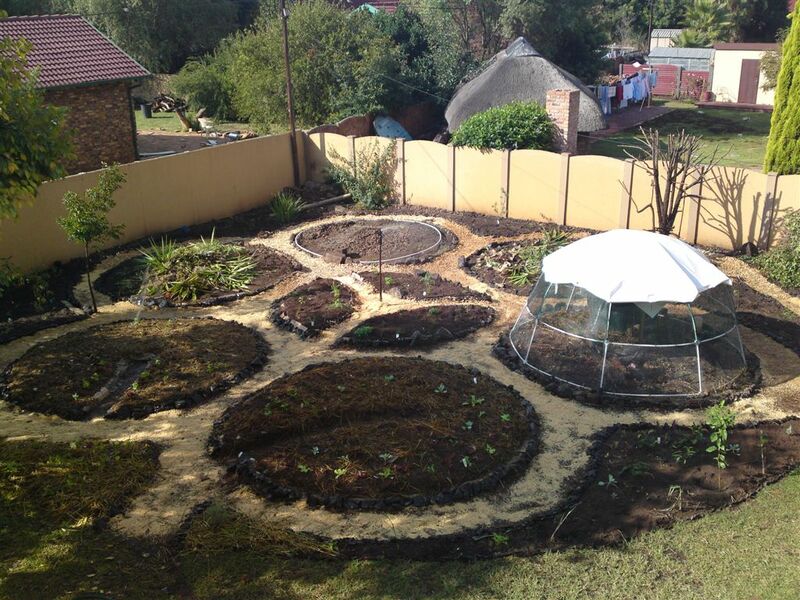 Please take note that a permaculture design is not just a plan for a garden. It takes into account factors such as climate, water management, waste management and a myriad other inputs and outputs unique to your whole site. An initial site visit, during which we discuss your specific situation and requirements, will enable us to draw up a quotation for the design OR draw up a planned work schedule for the transformation of your property. You will be charged R500 for the initial site visit/consultation of around two hours. As long as you are within 75 km of us you will not be charged extra for fuel cost. Once the design has been finalized we can start with implementation.